Pins and Needles: The Allergy Skin Prick Test – What To Know! For those unlucky Arizonans, seasonal allergies are the pits. The pollens that bring sneezing, itchy and swollen eyes, and all around misery can really put a cramp in our desert lifestyle. 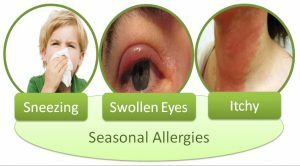 Many allergy sufferers will at some point wind up at doctors office for a skin prick test (SPT) to determine which pollens and allergens they are allergic to. The results of this test can help you avoid your particular triggers, whether it’s staying indoors during prime grass season or taking allergy medicine before you leave the house. The skin prick test itself is straightforward type of allergy testing, but knowing what to expect can help ease anxieties if the idea of getting this test puts you on pins and needles. The first part of your appointment should be familiar. The nurse will take your height, weight and blood pressure. You’ll settle into a room and wait for the doctor. The allergist will come in and ask you questions regarding your symptoms and how you are feeling and will look in your eyes, nose and throat. He’ll also listen to your heart and lungs. 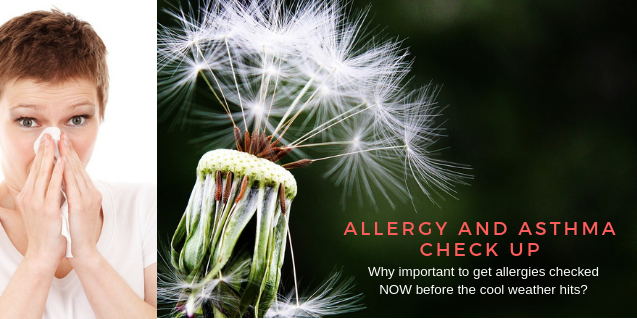 This is the time to discuss how your current allergy medications are working for you and what you hope to gain from the appointment. The visit may lead to new medications or even allergy shots if your symptoms to certain pollens are severe. After the allergy doctor talks with you, the nurse will give you some privacy so that you can strip down to your waist. You’ll put on a gown without a back and lie down on a table. When the nurse comes in, she’ll have with her all of the allergens that they will be testing. The nurse will quickly mark your back in rows with a sharpie or dry erase marker to create a map of sorts. The allergens are all sterile and are administered using a lancet, which barely breaks the skin. It is done very quickly and is usually over in about a minute. You may experience mild discomfort or even a ticklish sensation during the process. A control, which is always histamine, will also be applied. Everyone has histamine in their body, but it can affect them differently. Certain people don’t react to histamine right away, and this means that the test may be difficult to diagnose. You will be left for about 25 minutes while the allergens do their work and your body reacts. Once the allotted time is past, she will come back in with a chart and will check the results on your back and mark them down. Once finished, she’ll create a printout for you to keep that shows your results, and the doctor will come back in to talk to you. Your allergist will discuss your reactions to the various allergens, such as the size of the wheal and flare, which are the bumps and redness that your back will develop. He will also explain what the numbers mean for you and what treatments might be necessary going forward. Having knowledge of what pollens and desert allergens affect your body will give you the power to ease your symptoms, whether it’s through avoidance or treatment. Allergy skin prick testing is complete and straightforward with hardly any discomfort to speak of. Set up an appointment today for our skin allergy testing to find out what your triggers are so that you can put yourself back in the driver’s seat this summer.